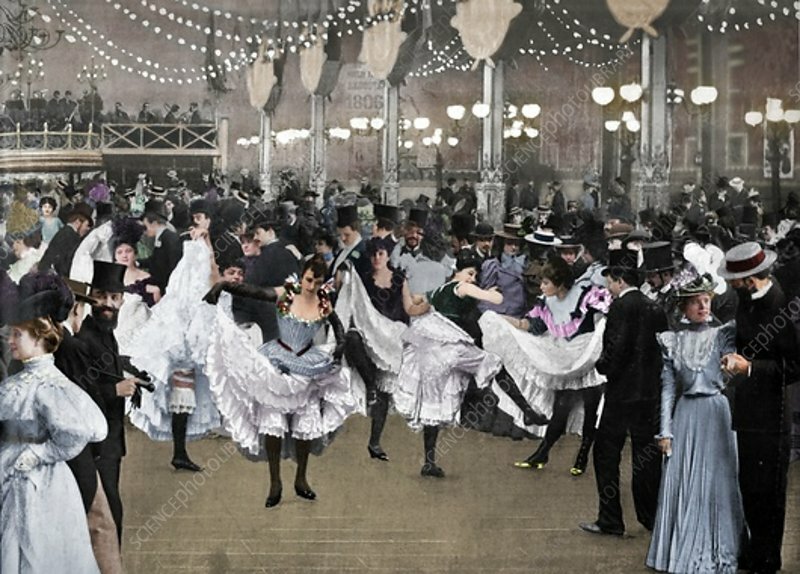 Le Bal Du Moulin-Rouge', 1900. Moulin Rouge is best known as the spiritual birthplace of the modern form of the can-can dance. From Le Panorama - Paris la Nuit No. D'Art - Ludovic Baschet editeur, Paris, 1900).